Think of the deepest, darkest place you could imagine. Good- now- make it dismal… pitiful… and… poignant. Now, think of the saddest memories you have- dying, failure… imperfection…. Now- Throw them all in a cauldron- one not even the worst witches would dare to think about- and mix them with heartbreak, hopelessness- and everlasting darkness. Now you are ready to enter his lair. In a dark room- on a bed of stone. 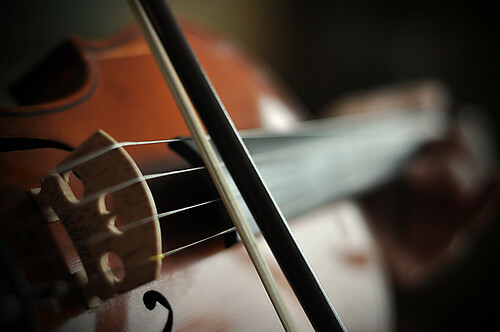 The sound of a violin song. Not even a cockroach would dare to inhabit the darkness of the small, cramped room. There is a man playing a violin. On the stone cot, A shadow in the pitch cloister. His name is the Phantom. His disheartening music could explain for his treacherous life. Despair, distress, and darkness. Day after night of playing the violin, on the cold and unforgiving floors. The ceiling seems to get closer every day- as he might have said long ago, in the 20 million years or so… but he has learned to contain his thoughts, long ago. on the abysmal castle-like walls, a single torn painting linger a painting of emptiness- and pitch black strokes. The rest of the walls are empty- just like the phantom.